Okay, maybe not blame National Day, but blame the people who seem to go a little nuts because of National Day. 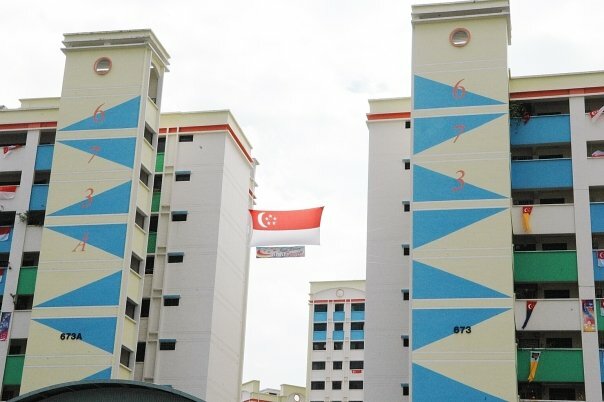 Every year, starting in July, you see National Day decorations in every HDB estate, presumably put up by the residents’ committees (RCs). Flags are to National Day what ex-SAF senior officers are to SMRT management – you can never have enough of them. In the Yew Tee area where I live, the RC would hang something 10-storey high between blocks 673 and 673A. It could be one giant flag or many smaller flags arranged to form a number representing the age of the nation in case you forgot. And it’s usually a disaster because at that altitude, the strong wind would wreak havoc on the display and it would be removed before National Day. But the people who put up the display never give up. Every year, they would hang something different up there, hoping to beat the wind. And almost every year, the wind wins. If I were a cornier writer, I would say their persistence symbolises the resilience of Singaporeans who have faced countless challenges in the nation’s 53-year history. But I’m not. I wish they would give up. This year, they hung up one small flag with many little holes in it, presumably to let the wind blow through. Unfortunately, the flag was misshapen due to the holes and from a distance, they resembled bullet holes. 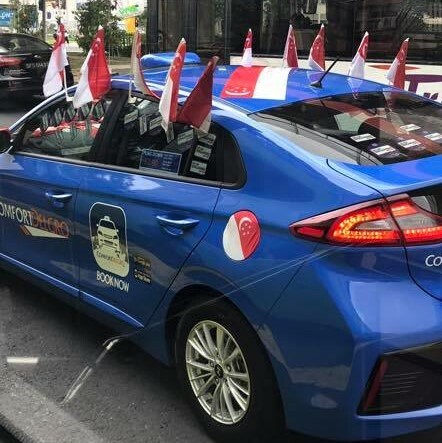 Our national flag looked like it had been through a war and Singapore lost. There’s something about National Day that seems to cloud your one’s judgment. For some people, the cloud can be a thunderstorm. It’s like a form of patriotism-induced temporary dementia. You hear the National Day songs so often that you can’t think straight any more. So maybe we shouldn’t be too hard on the folks from Keppel Corporation who were ridiculed for their National Day cheer video, where they performed their awkward version of the haka, the traditional Maori war dance from New Zealand. And you thought the Keppel Offshore & Marine bribery scandal was bad. I guess I also shouldn’t be too hard on the Yew Tee RC. At least they try and they mean well. Then one day, the bullet-riddled flag wasn’t there any more. But it wasn’t gone – just moved to ground level. The wind claimed yet another victory. That was when I got a chance to see the flag up close and realised the holes weren’t holes. The flag was actually made up of thousands of shuttlecocks. Yes, the feathery thing you play badminton with that’s so much fun to say. Shuttlecock. For the upper half of the flag, the shuttlecocks were painted red. The crescent and stars were just cardboard cut-outs, but I was still impressed. All the hard work the volunteers must have put into collecting the used shuttlecocks and creating the 2.3m-by-1.5m flag symbolises the resilience of Singaporeans who have faced countless challenges in the nation’s 53-year history. You might ask me, why shuttlecocks? I would ask you, why not shuttlecocks? But why the RC initially hung the shuttlecock flag 10 storeys high where you couldn’t see the shuttlecocks I don’t know. Maybe it was due to the patriotism-induced temporary dementia caused by National Day I mentioned earlier. But now that the flag has come down to earth, they don’t seem so crazy after all.